The view of Fuji over the Ashino lake at Hakone was and is justly famous. 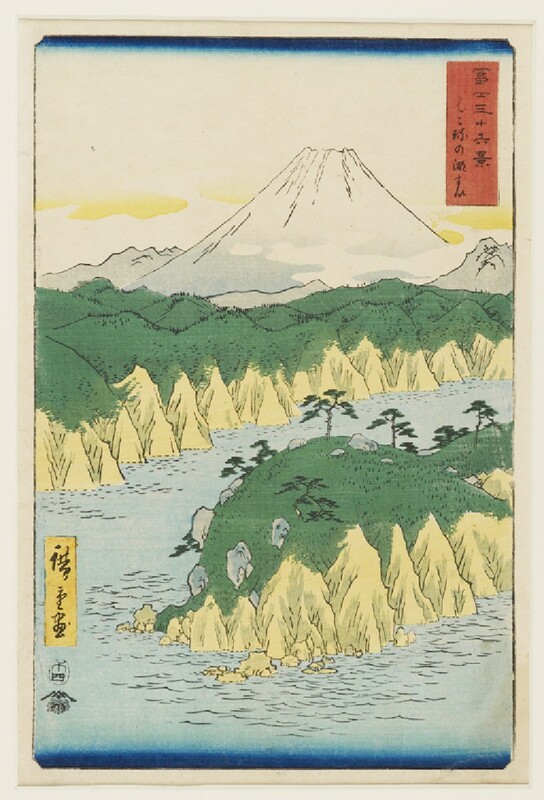 The lake is large, perhaps some eight kilometres long, and Hiroshige’s depiction is perhaps wilfully aberrant. Fuji is seen here over green and yellow cliffs on the shores of Lake Ashino in Hakone. This was Hiroshige’s last series, inspired by the success of Hokusai’s original ‘Thirty-six Views of Mount Fuji’. 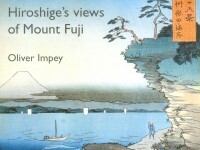 He died before the series was completed, and it is thought that his successor, Hiroshige II, designed the final prints.